After playing Hildryn for a bit, I can say that she's interesting. Not great, but interesting. Her Passive is possibly probably the best Shield passive I've seen so far. Coupled with the Synergy from Guardian and Taxon's Molecular Conversion Precept makes it quite effective. However, I would like to know the breakpoints on the shield gating, if any. Balefire is a bit underwhelming, I expected a Secondary fire with it. Not saying the charge mechanic is bad, but it needs to be modded for which takes up space in a build. Not to mention, there's a lack of information regarding the Charge functionality, like does it increase range? damage? what exactly do you get from a full charge? is there anything to additional to gain from a full charge? Questions that need answers, I guess. If I were to change it, I'd reduce the Charge time by a bit. Finally, Aegis Storm is...confusing. It has Decent CC, which is a plus, but why does it turn off or become less effective if I go higher than a certain point? and why can't I descend with the Archwing controls? Going up is fine with the Archwing controls, but down is not allowed? I think there was some oversight during implementation, since one Moa stomp or Enemy Ground slam sends you flying up with no way to return to a normal height where the power is effective without deactivating Aegis Storm entirely. Additionally, when I'm over a pit I just fall slowly into it even when attempting to fly out of it by holding Spacebar. Rather poor implementation here... Overall, I'm liking Hildryn, but some of her powers are baffling in their implementation. EDIT: I've tried other keys when dealing with the flight controls, no go on any of them. So it's something that was either omitted or just broken. I'm not one to weigh in on the trading market, since I don't trade much except within my Clan. So my knowledge is limited on the whole "Trading Exploitation". However, I do feel like Riven mods should be made to be less random and more finite. 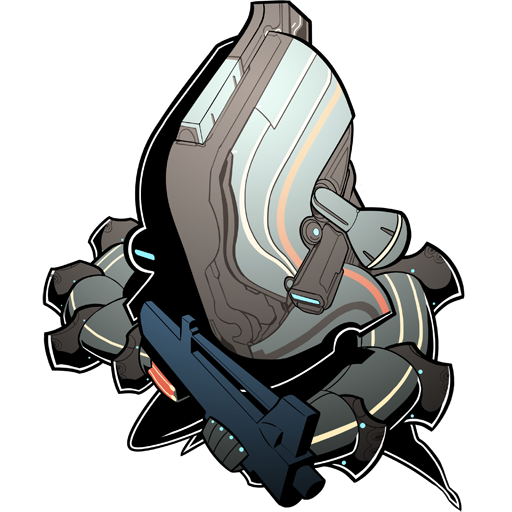 I always envisioned of a system of Cutting one or multiple stats off of one riven and then Pasting them on to another with Kuva, which destroys the Riven being stripped. The stronger the effect, the more Kuva needed to cut that effect and that would increase for how many effects being pasted over. However, it would require both riven mods to be tied to the same weapon and should lock out the riven from being re-rolled or traded. That way you'd still need duplicates from Trade Chat for stripping and re-rolling. The idea of Stripping a riven mod would incentivize the crafting of a perfect riven for those who want to play with them (rather than just collect them for grofit). The perfect riven mods already in circulation would continue to be worth their weight in platinum, but the bar for obtaining such a riven would be lessened greatly since everyone would be able to get one eventually. The only other problem would be predicting what weapon a riven would be tied to, which I feel should be handled with a conjoining idea, but it escapes me at the moment. As for the effects on the Trade market, I can see a change like this causing an upset due to raw buyouts of an entire Riven weapon set (i.e. Ignis, Akmagnus, etc. etc. ), but I don't care to speculate on things out of my purview. As you already know, I'm in the "Anti-Ramp" camp when it comes to "Broken" things. So, having an ability that's already intrinsically overpowered with hard rules set in place to keep it from growing more would be best. A good example is the Void Invulnerability state, because what if it also cleansed you of all Statuses as well? or gave a hard damage buff? That would just be absurd, so a line in the sand (This far, no further!) would be appropriate. Well that's good to hear, I think the Way-Bound system should stay so hearing that it does for your system is kind of relieving in a way. Why not just have it at that? Invulnerability is already overpowered, besides it's broken when considering you can revive during it. Giving you endless revives for free as long as somebody is in range. I think it might be best to fold that into another form of interaction, as I stated before Wall Latching isn't present. What about that? Or how about make it a conditional state depending on whether or not void mode is even on (Risk vs Reward)? You could even fold it into the Amp, like an Amp buff that can be directed at players (i.e. Smite Infusion). There are many ways to apply interaction, it's just a matter of what works best for the situation at hand. As I'm reading this, I feel like the more I read the more I feel like there's a bit too much. I think some simplification would go a long way to understanding and improving the idea, less individual ability powers and more general power I guess is what I'm getting at. However I'm just going to be clear, there's some serious ramp involved with this idea, but that was the goal and I can't fault you for that. Void Spiral for instance has four different states alone, it muddies the waters of what's being presented and actually harms the overall work you've put into this. I'm just gonna put this out there, there will be those players who will forgo even trying to understand these portions and if they forgo it in the writing they'll probably do the same if it were added. As I said, simplifying the concept here is absolutely important just for clarity. Not to mention, I feel like the whole addition of buffs/debuffs on just having Void mode on (Void Duration) is a large case for non-interaction since it's basically fire-and-forget in most cases and ultimately broken in others (Unairu WTF! Calm down, that's too much D polarity for even me to handle). However, there's a ton of that in-game already so I can't say that DE isn't doing the same thing. I think it would be best if some of that was folded into the Channeling (Hyper-Transference), since in just the current state of the idea it's basically padding with a lot of the core abilities being the way they are and it just doesn't stand out even though it is a decent idea for interactivity. However, that's not to say it's all gloom and doom from me, I REALLY like the idea of adding Wisps to the other trees and the idea of Void Comet is brilliant. I cannot express how much I like the Void Comet idea, just the movement options alone are awesome and a core part the warframe experience. Also, adding incentives to completing a tree through the Mastery/Respec system is interesting and somewhat better than "Way-bounding". Speaking of which, is there "Way-bounding" in this? Also, No Wall Latch Variant for Operators? This is just an initial overview from me, but I'll keep reading and make some more detailed points later on. All of my applause for this, gonna go read through it now. So, when are we going to see a full-on Vauban Rework? Because right now, he's not in the best of places. Will we be seeing a Vauban Rework any time soon? When are we getting more Set Mods? Are there are more plans to expand the Orbiter?